Non-invasive wrinkle reduction through light energy. American Electrolysis and Laser offers LightStim professional technology for a youthful, vibrant appearance in Springfield MO and Southwest Missouri. Want simply irresistible skin and a youthful appearance? American Electrolysis and Laser is now offering LightStim for Wrinkles. Applied and acclaimed by top estheticians, dermatologists and plastic surgeons for over a decade, LightStim for Wrinkles is a non-invasive, medical treatment designed to penetrate the epidermis layer of the skin and stimulate the skin’s natural ability to produce collagen and elastin. The results? Revived and restored skin in as little as 8 weeks! Give LightStim 8 Weeks. Get back smooth skin. An FDA cleared treatment for wrinkles on the entire face: forehead, crow’s feet, cheeks, nasal labial folds, jawline, and even lips. LightStim uses LED light therapy to administer natural energy in a similar way to a plant absorbing light energy from the sun. 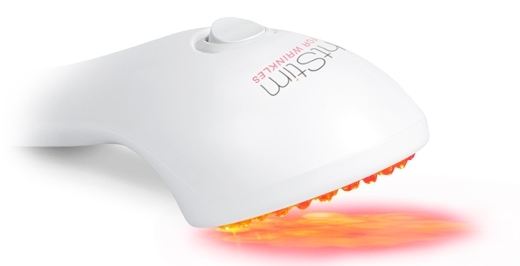 Derived from NASA technology, LightStim for Wrinkles emit UV-free, beneficial light rays that energize cells and stimulate the body’s natural process to build new proteins and regenerate cells. LightStim is composed of different wavelengths, or colors of light. When this beneficial light is applied directly to the skin it can help to increase collagen and elastin production, reduce inflammation, speed healing, increase circulation, and destroy acne bacteria. In FDA clinical studies, 100% of participants showed improvement in their fine lines and wrinkles in as little as 8 weeks. American Electrolysis and Laser is expertly trained to administer professional strength LightStim for Wrinkles treatments. Call (417) 881-3702 for your free consultation.